How noticeable was the ambient noise (city noise, traffic, etc.) during the performance? 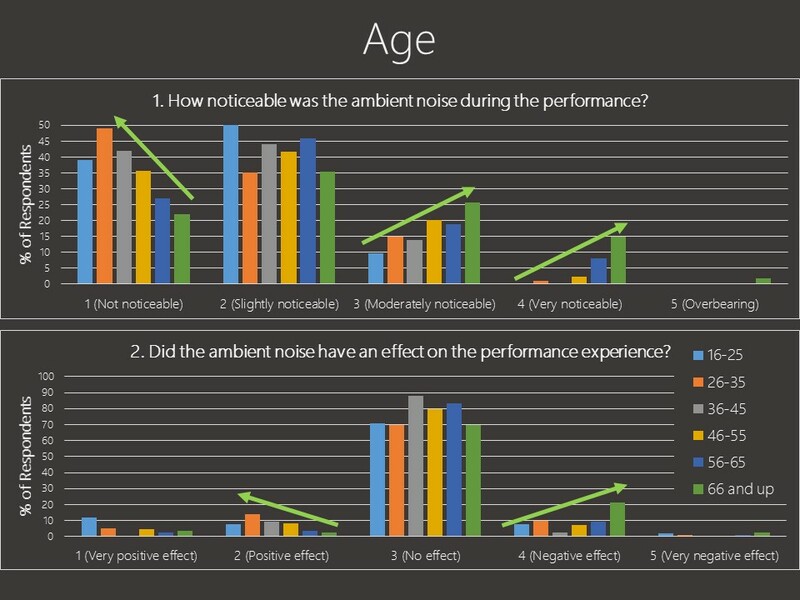 Did the ambient noise have an effect on the performance experience? How noticeable was the audience noise (other patrons chatting, drinking/eating, etc.) during the performance? 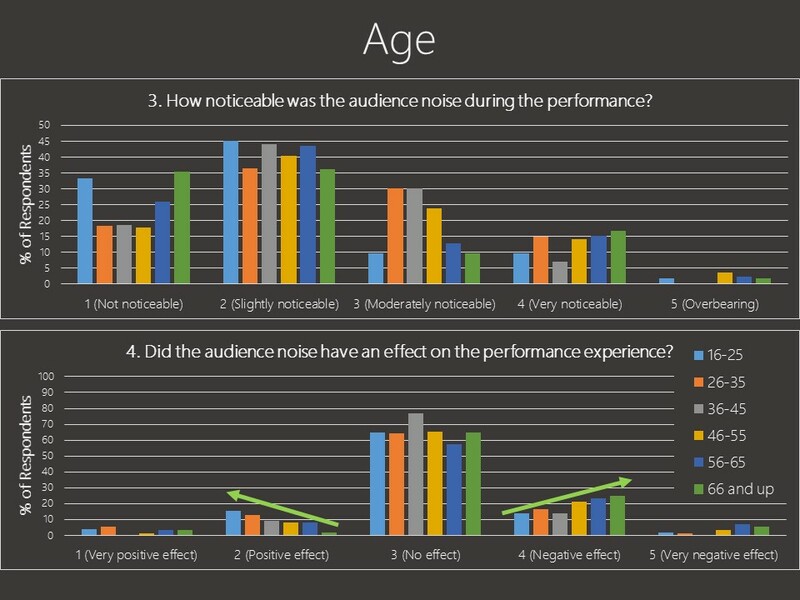 Did the audience noise have an effect on the performance experience? Paid section of fixed seating (~1,700 seats) for those who paid for tickets or hold paid season tickets. Free section of fixed seating (~2,300 seats) which requires those who want seats to arrive early to secure a spot. The survey was distributed at 3 concerts for a total sample size of 473 responses. When analyzing the overall data trends across all respondents, ambient noise (city noise, traffic, etc.) was reported as mostly non/slightly noticeable, and had no impact (positive nor negative) on the patrons experience. The audience noise (other patrons chatting, drinking/eating, etc.) was reported to be slightly more noticeable, and had a slightly more negative effect on the concert going experience. This aligns with our general findings when gathering anecdotal comments. For the most part, city noise is understood and expected during performances because it is a part of the experience of enjoying outdoor entertainment in the heart of a bustling city. When dicing the data up by seating location, it became more apparent that where one sits corresponds directly to both noticeability of noise sources, and the impact of the noise sources on one’s experience. On the data below, brighter colors correspond to greater percentages of respondents. Ambient noise was found to be more noticeable with a greater negative effect in the fixed portion of seats. Along with that, audience noise was reported to more noticeable in the lawn, yet positively affected the patron’s experience. When walking around the site during a performance, it is clear that those in the fixed seats, and closer to the front of the lawn are much more tuned into the musicians on stage, whereas those from about 2/3rds of the way into the lawn and back are more focused on spending time with those accompanying them to the performance than the performance on stage. This trend in behavior is apparent in the survey data. Dividing the results granularly by specified age show some interesting outcomes. Generally, trends (shown by thick bright green lines) show that as patrons age, ambient noise become more noticeable and both ambient and audience noise more negatively affect the concert experience. Younger concert goers even report that both the ambient and audience noise positively affected the event. While combing through this data, we analyzed several metrics. Only those showing clear and meaningful data trends are reported. 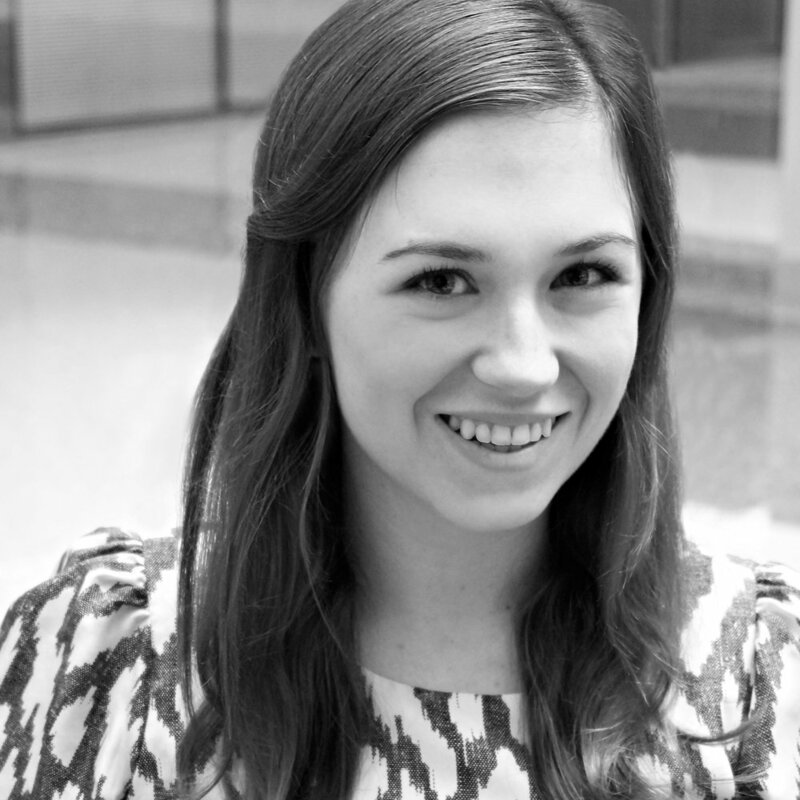 In this profession, we spend hundreds of hours on each individual project. The end goal of this effort is to yield a high quality, enjoyable experience for those who have an opportunity to experience the finished space. We do our best to maintain an understanding of the impact a venue has on concert goers, but rarely have a chance to reach such a large group that this exploration granted. With thanks to The Pritzker Pavilion staff and management, and Threshold staff, we were able to gather a great understanding for how audiences enjoy attending outdoor concerts. After digging through piles of data we think about the human aspect behind survey responses. A key takeaway from this exercise is not to forget that at its heart, the concert-going experience is a social one where spectacle or performance is the inspiration that brings people together. While we believe that it is still appropriate to provide a venue where the experience can be shared with greater focus placed on the artist, the beauty of the festival environment, or the outdoor experience, especially at Pritzker, is not that the event has been lessened by the environment, but that the spectacle of the venue itself elevates the presentation of the art. It can be seen and felt as larger than life, lifted over the din, not just to be louder, but intensifying the sense of enclosure with a presence that carries the crowd along. Whatever the reason, they do come back again and again. Perhaps there are moments when the conversation lulls, and the performers reach in and stir something in the soul of the city.